Fall is here! Fall is my favorite time of the year and with fall comes great products to make yummy Autumn dishes. Some of my favorite products are potatoes, squash, apples and cabbage. 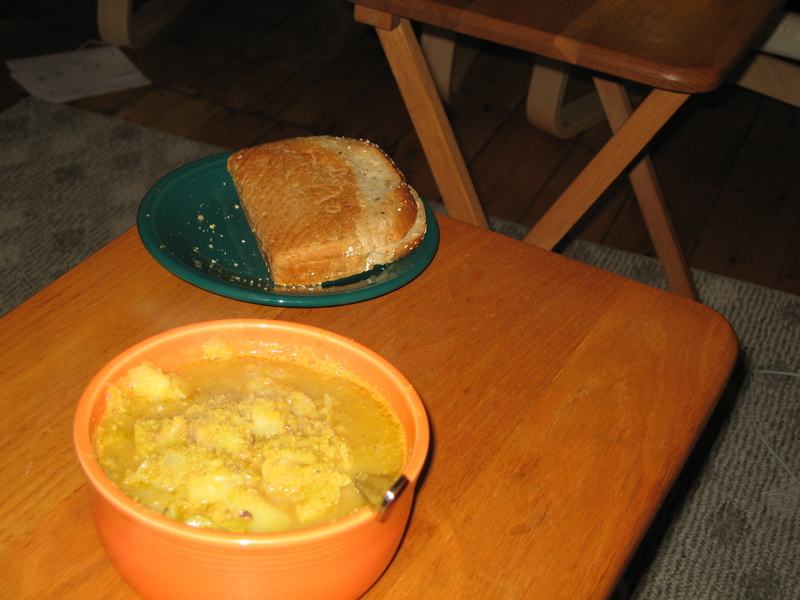 To start the fall off I made Apple Pie and Rustic cabbage soup which were both delicious. For the Apple Pie I used the recipe from Babycakes cookbook which was great. The recipe starts by roasting the apples with agave, lemon juice and cinnamon which really brings the flavors out. The crust is wonderful and is made from spelt flour, agave, coconut oil, baking powder and salt. This crust is used to make a very rustic crust which is great and a must try. I also made some delicious Rustic Cabbage Soup that was inspired by 101 Cookbooks it was filling and delicious (and even better the 2nd day). Heat the oil in a large pot. Stir in the cabbage and onions and cook until caramelized. Stir in the salt and the potatoes and cook for a 3-5 minutes. Add the broth, garlic and adobo. Let it come to a boil and cook until potatoes are soft. Stir in the nutritional yeast and beans. Serve drizzled with a bit of olive oil. The perfect fall dinner – soup and pie. That apple pie looks sooooo good!! What a fantastic fall meal you created. 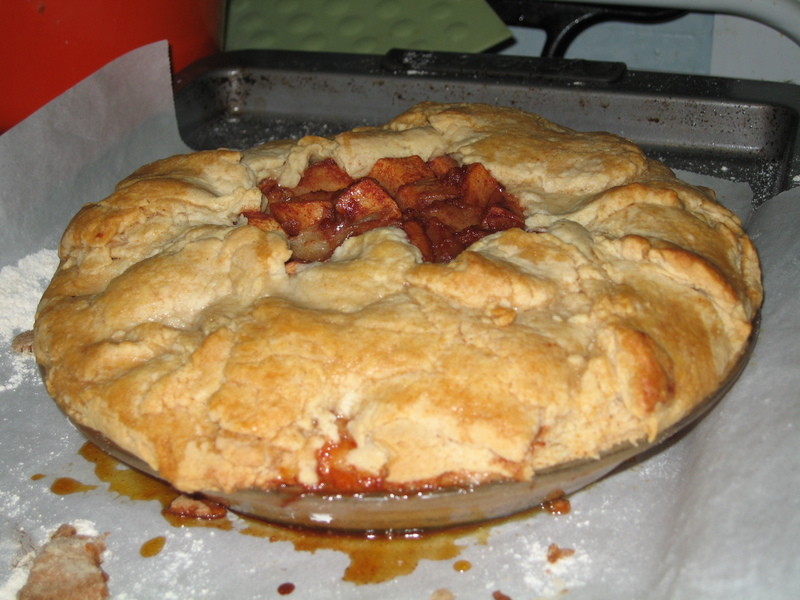 Apple Pie is so wonderful this time of year.